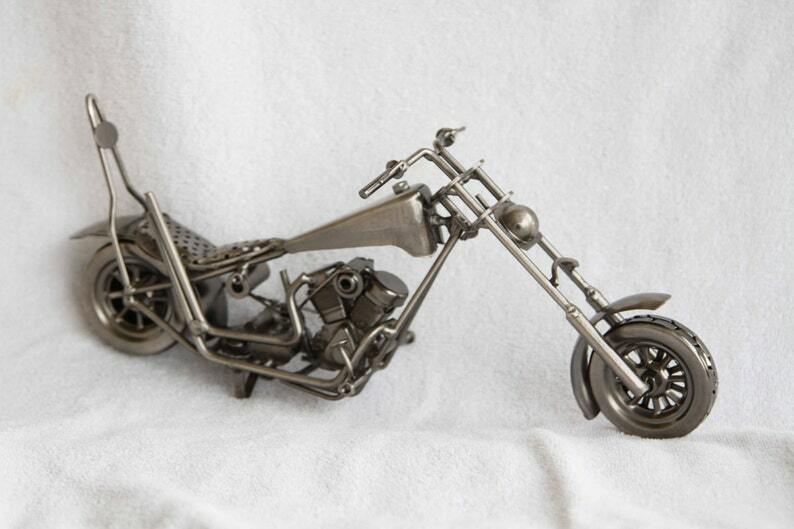 All metal, miniature motorcycle collectible, approximately 13 inches in length. This has a brushed metal finish, with clear coat to prevent rust. I purchased these as seen here, with the intent to do custom paint work on them, to look more like the actual motorcycle. Lack of time and scheduling conflicts have forced me to give up on that idea, so I'm letting them go. Is in great condition to display as is, if you should choose to do so, but might have some slight flaws such as light scratches in the clear coat or welds that are not completely smooth.